New Color Added to Color-Coded Line from Nelson-Jameson, Inc.
Nelson-Jameson has introduced orange to its extensive collection of color-coded products for material handling, janitorial, safety, lab and processing applications, with new items being added continuously. Color-coding tools, to assure that are used in the areas in which they are meant to be used, has helped stop bacterial migration between areas of the plant and different applications. New orange items for material handling are pails, hand & bench scrapers, plastic scoops & shovels and 44-gallon containers. 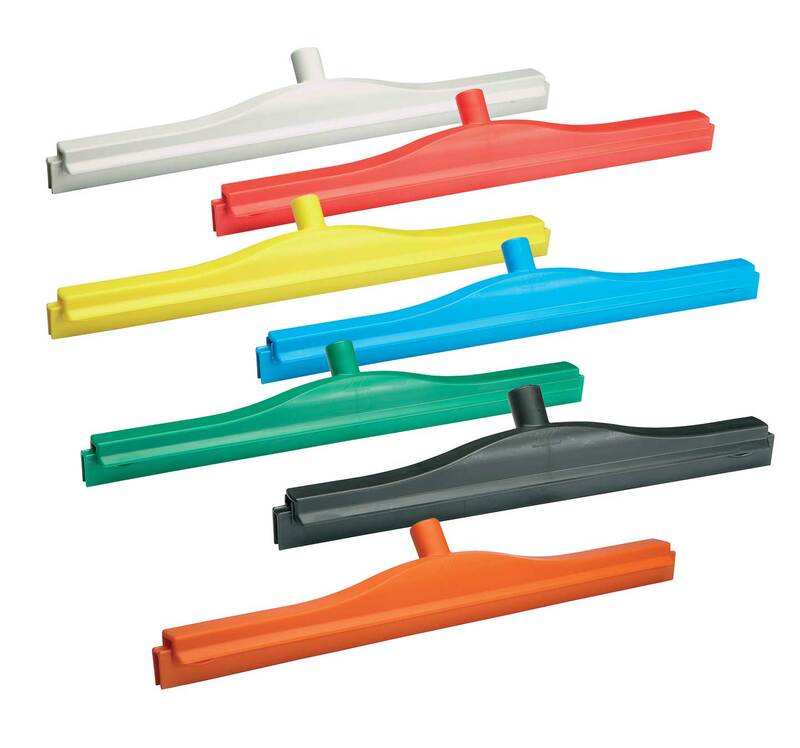 For janitorial and maintenance functions, squeegees, floor brooms, fiberglass & aluminum handles have been added. 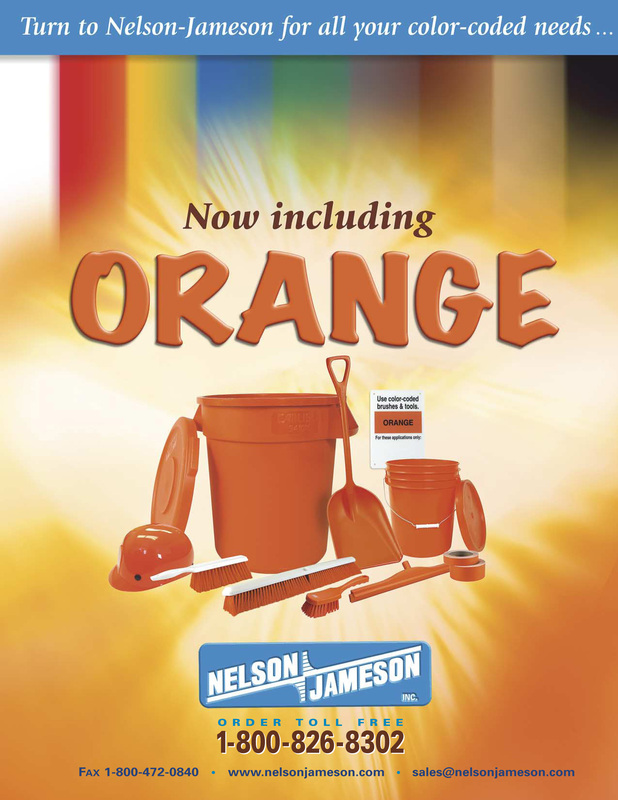 A variety of brushes are now offered in orange, including wall & deck scrub brushes, floor brushes, bottle brushes, bench & counter brushes, and tank & equipment brushes. 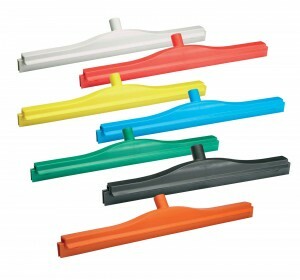 Orange items are also available in safety products, including tapes, hairnets, bump caps and cable ties. For sanitary processing applications, our offerings include cutlery, gaskets, security seals and nozzles. The color-coded line includes several other colors, including white, red, yellow, blue, green, gray, brown, black, and now orange. The company’s color-coded catalog features the complete color-coded line and the new orange flyer can be requested. For more information or to request a flyer, please contact Dakonya Freis, Janitorial & Maintenance Product Manager at 800-826-8302.